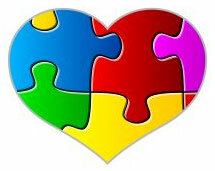 Support group for mothers of children with autism and related special needs! Join us as we encourage and empower each other to greater self-care as we care for our loved ones! We are the back-bones of our families, but who supports us? We must support each other! 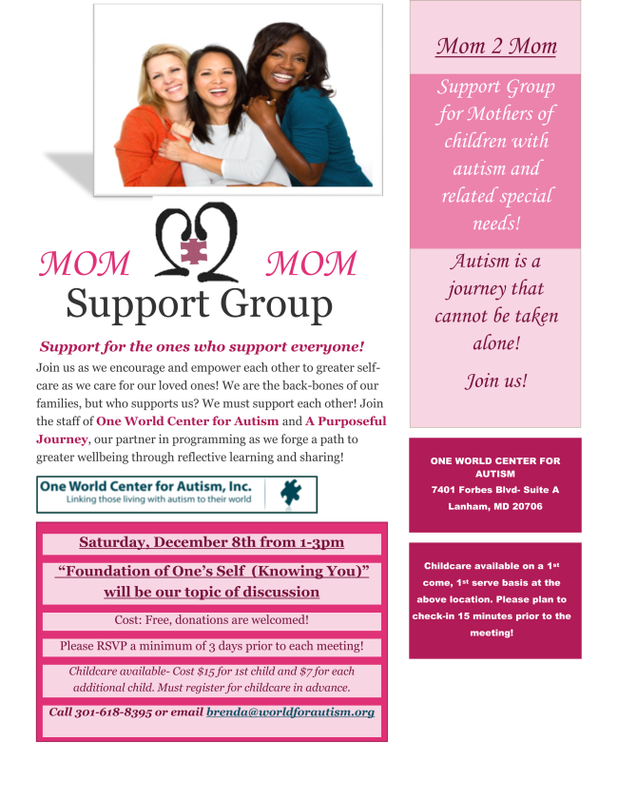 Join the staff of One World Center for Autism and A Purposeful Journey, our partner in programming as we forge a path to greater well-being through reflective learning and sharing! Date: Saturday, March 3, 2018 from 1-3pm. Cost: Free, donations are welcomed! Please RSVP a minimum of 3 days prior to each meeting! Childcare available- Cost $15 for 1st child and $7 for each additional child. Must register for childcare in advance. This service is provided on a first come, first serve basis, please plan to check-in 15 minutes prior to the meeting!